At the Wellness Clinic you will discover ways to reduce unwanted wrinkles and lines. As we encounter the aging process an unfortunate feature that develops is the loss of volume in our bony structures of our face, this causes shrinkage in both our mouth and teeth. As a result, deficits appear in the mid-face and cheek areas, this causing wrinkles. The clinic focuses on the implementation of a natural approach using a combination of different types of Botulinum A toxins, fillers and chemical peels. Whether you are looking for defined facial contours, fuller lips, smoother facial lines, we can recommend different individual treatment options. We have payment plans available and you can sign up to our rewards programme that allows you to collect points to help fund future treatments. Dr Gavin Lobo has had an interest in Appearance Medicine since attending the Napier conference in 2005. He has gained extensive experience in injectables, especially using Botulinum A toxin for the treatment of wrinkles. 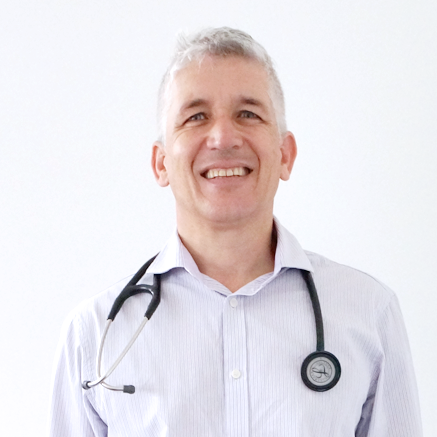 He was the supervising doctor for the Avana Clinics and then started the successful LaserDerm Clinic in Herne Bay. Dr Lobo now runs and owns The Wellness Clinic Kingsland, together with his wife Amanda who is a Registered Nurse. Dr Lobo is both a Fellow of the Royal New Zealand College of General Practitioners, and a Fellow of the Australasian Society of Cosmetic Medicine. He is currently undertaking the Diploma in Cosmetic Medicine in New Zealand to gain Fellowship of the New Zealand College of Appearance Medicine. Is a natural protein and the most effective non-surgical treatment that can dramatically smooth away dynamic facial wrinkles (the ones that appear when you smile, frown or laugh), for example on the forehead (frontalis), around the eyes (crow’s feet) or between your eyebrows (glabellar). The minimally invasive treatment will take around 10 - 15 minutes and is relatively pain free. Results have been seen in just 2 - 3 days however the peak affect is between 10 - 21 days after treatment. One treatment temporarily relaxes muscle contractions, wrinkles become smoother and often even disappear altogether. Most people require a treatment every 3 - 4 months in the first 2 years, then every 5-6 months thereafter. If you decide to stop the treatment your wrinkles will return slowly. Don’t confuse dermal fillers with Botulinum A Toxin (Botox®) Although both procedures involve injections, Botox® is most often injected around the forehead and wrinkles around the eyes (crow’s feet) to stop muscle movement that results in wrinkles. It has nothing to do with the plumping smoothing effect dermal fillers have because they work in different manners, many people elect to get both Botox® and dermal fillers—the combination can produce a remarkably younger-looking face. Chemical peels also termed chemexfoliation are chemical solutions painted onto the skin to help smooth out the texture of the skin through removing the outer layers of damaged skin cells in a super effective skin exfoliation process. Chemical peels are a quicker way of exfoliating which involves using a chemical substance. 1. They stimulate cell turnover by removing dead cells in the corneal layer. 2. They remove damaged and degenerated skin cells, which will be replaced with normal skin cells – the result is particularly evident when treating actinic keratoses and pigmentation abnormalities. 3. They introduce an inflammatory reaction and activate mediators of inflammation (a mechanism which is still not well known) which activate the production of new collagen fibres and glycosaminoglycans, which revitalise the skin. At The Wellness Centre we offer Glycolic and Salicylic Acid peels to help improve you completion in a gentle manner with powerful results. You will need approximately 4-6 peels for optimum results. Some people will need more and some will need less. The number of peels you have to encounter before your skin starts to improve will also depend on the severity of the skin issue you are trying to fix. Salicylic acid peels help promote exfoliation of the skin surface cells, in particular the cells that line the sebaceous ducts. Onset of muscle relaxation can be noticed after 2-4 days. The maximum effect can take up to 2 weeks to notice. Botox® results can last 3-4 months on average, however everyone is different. Dermal filler restuls last between 6 – 18 months according to the product used and the depth at which the dermal fillers are placed. There are no known long-term side effects from repeated cosmetic neuromodulator use. The main risks are small bruises from the tiny needle injection. Allergic reaction is very, very rare. There is no need for allergy skin testing.Unwanted adjacent muscle affect is possible from unexpected migration of product following injection, for example: eyelid droop after frown line treatment. This is an uncommon occurrence nowadays. It is temporary and will disappear after a short while. Unwanted adjacent muscle affect is possible from unexpected migration of product following injection, for example: eyelid droop after frown line treatment. This is an uncommon occurrence nowadays. It is temporary and will disappear after a short while. Although it is very unusual with temporary dermal fillers to have problems after the first two days, it is rare but still possible to have an allergy to dermal fillers develop. In the unlikely event of residual lumps or an over-correction of a wrinkle fold or lip after a dermal fillers treatment, The Wellness Clinic can use hylase to dissolve quickly the excess dermal filler and correct the problem. At The Wellness Clinic we value you as a customer, we have created a members programme where you can earn points that allow you to save up and receive free treatments. Dermal fillers are used as an injectable gel to provide additional volume to the skin. Dermal fillers reduce the appearance of wrinkles, and the dermal fillers gel provides volume to areas that may have lost volume, such as sunken cheeks. Botox® differs from dermal fillers in that it is injected to reduce muscle movement, which in turn is a means of preventing wrinkles from forming. Where dermal fillers would add volume to firm the face, Botox® Treatments reduce the appearance of wrinkles by relaxing the skin. Where does botox® go in my body? Botox® stays local to the muscle where it was injected. After the injection, botox® is simply metabolised & broken down into natural byproducts within a few hours. BOTOX® InjectionsA diluted solution of BOTOX® is extremely effective treatment for wrinkles. Excessive Sweating TreatmentBOTOX® can be used to treat hyperhidrosis by entering the specific glands in the underarms responsible for excessive sweating. Chemical PeelsChemical peels also termed chemexfoliation are chemical solutions painted onto the skin to help smooth out the texture of the skin through removing the outer layers of damaged skin cells in a super effective skin exfoliation process. 20% Glycolic acid peelA glycolic peel is a light chemical peel that is a remarkable cosmetic option for individuals who seek smoother, youthful, and more radiant skin. 20% Salicylic acid peel Salicylic acid peels help promote exfoliation of the skin surface cells, in particular the cells that line the sebaceous ducts.